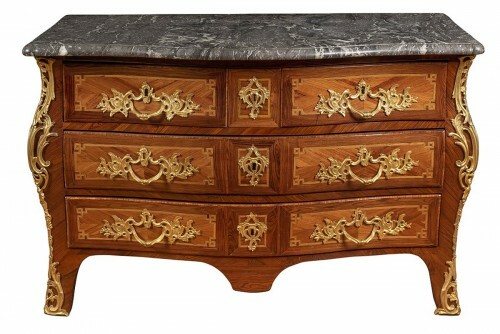 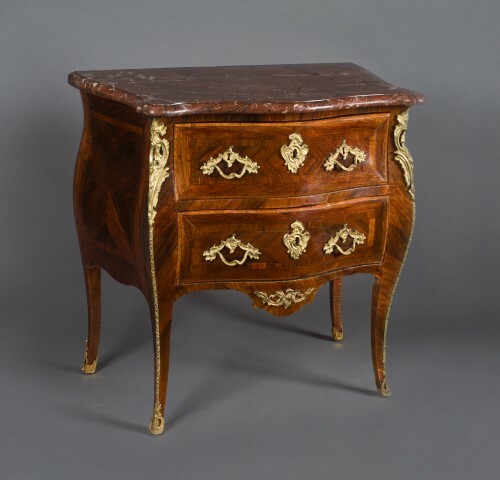 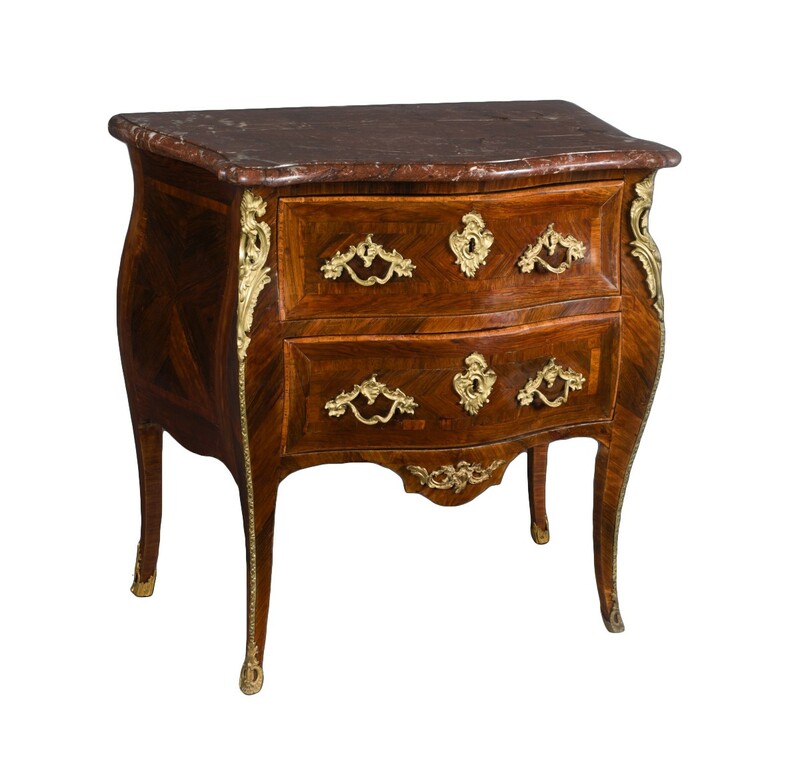 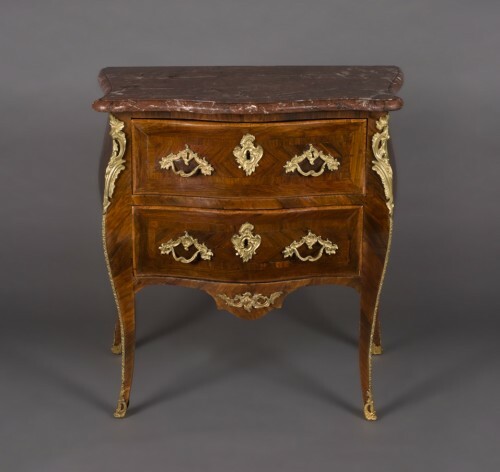 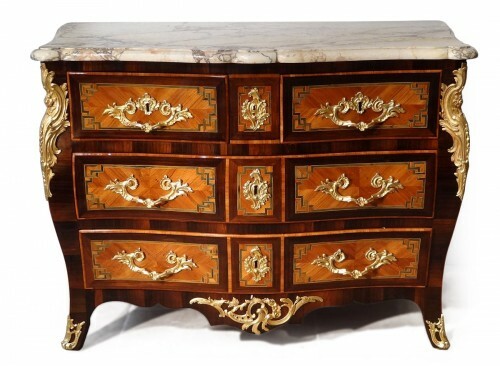 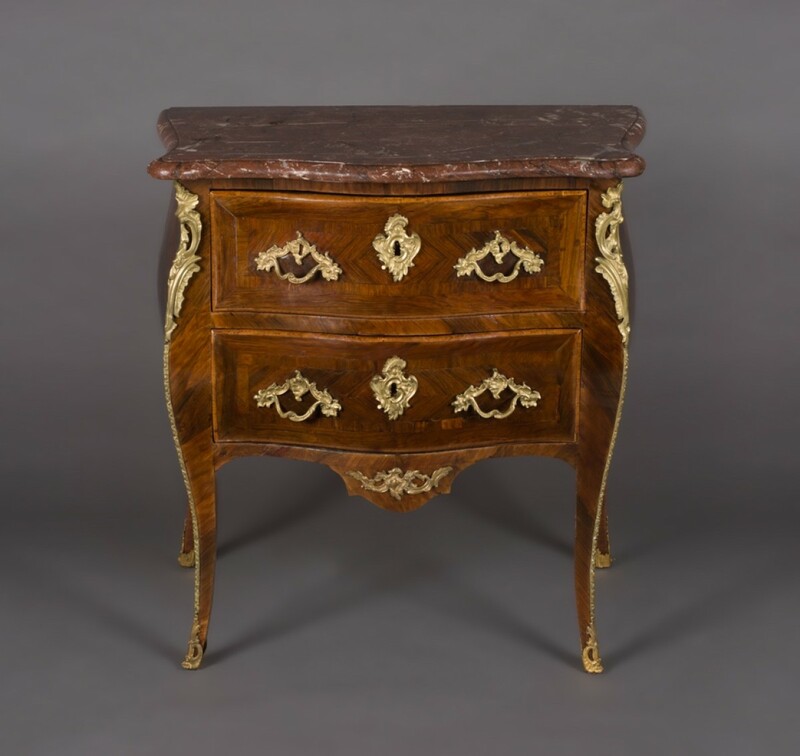 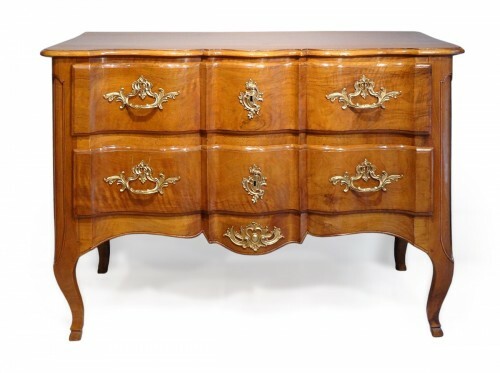 Elegant commode "sauteuse", curved, in rosewood veneer opening two rows of drawers with cross. 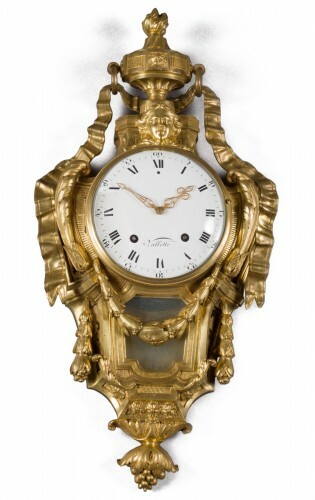 It rests on four curved legs terminated by engraved and gilded bronze shoes. 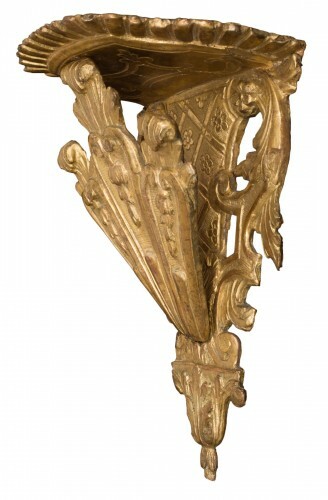 Beautiful garniture of chiseled and gilded bronzes. 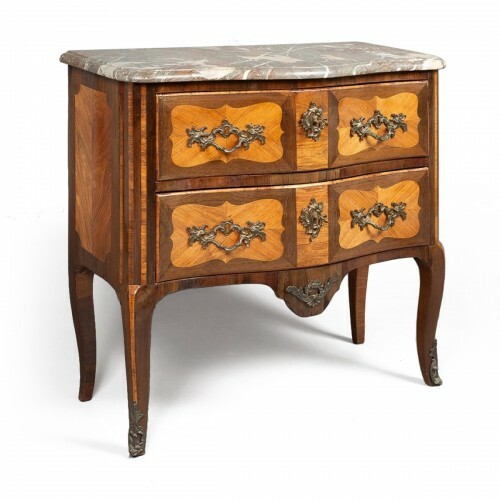 FILON is a cabinetmaker and furniture merchant on rue Mauconseil. He will give up his activity at the time of the Revolution to his son, Gabriel-Isidore. 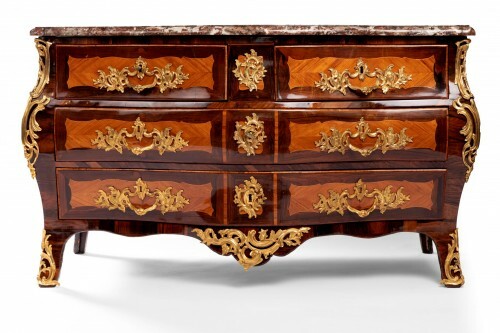 It will cease its activity in 1797 and organize an auction of its business, whose catalog mentions furniture "in tulipwood, rosewood, lemon, mahogany, old lacquer and painted wood". 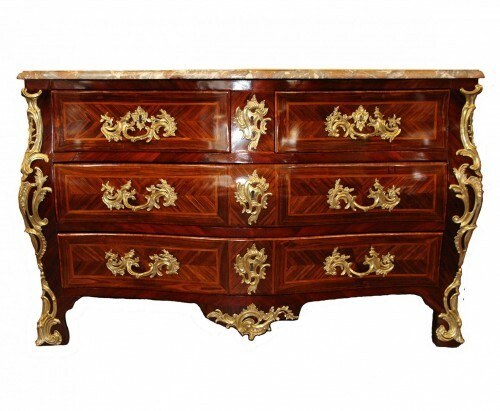 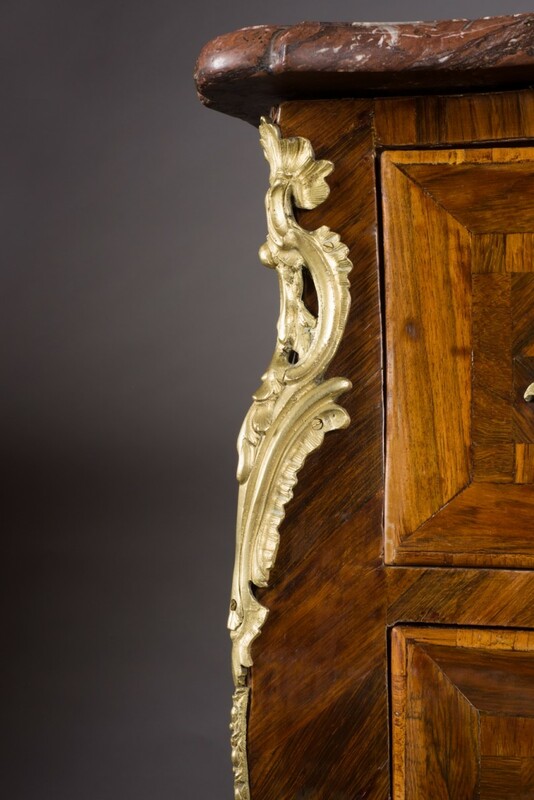 He is known for beautiful Louis XV commodes, with harmonious and marked curves and the rich ornamentation of bronzes.